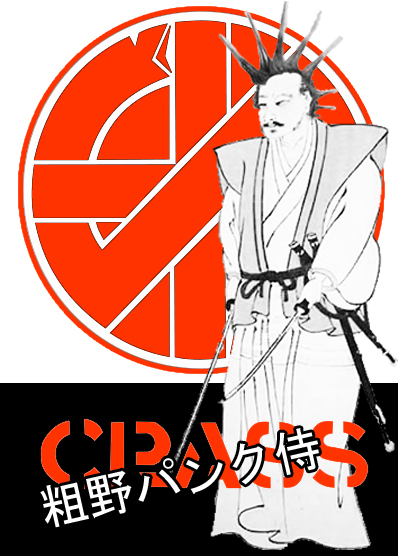 Or: What if Crass had been Japanese? This picture was a contribution to the Artwiculate word game on Twitter today. The Word of the Day was crass and that took my mind back to a certain punk rock group from my youth. (Turns out they’re still going – sort of.) A fellow Artwiculator from Japan had also tweeted about the death of punk and the death of samurais … that was enough.